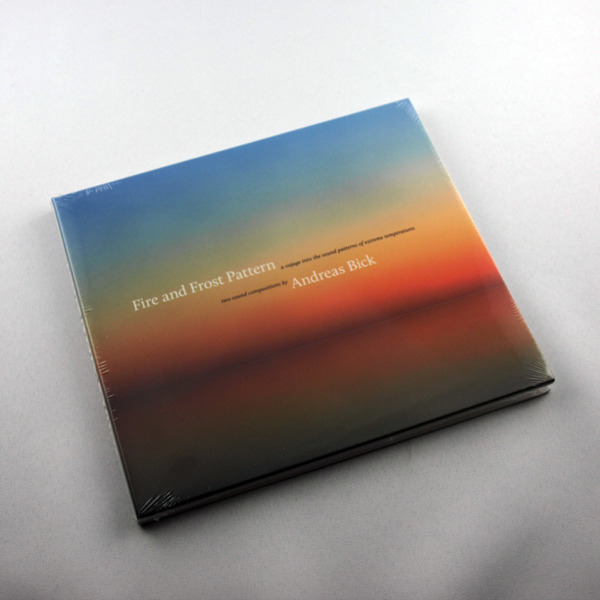 An album by Andreas Bick – composer, sound artist, and producer of radio plays – released in 2010 by Gruenrekorder and sold-out years ago. The CD comprises 2 compositions (each around 25 minutes), where the first is solely based on recordings of fire (vulcanos, lava, ash, etc. ), the second based on sounds, originating from icebergs, snowflakes, a frozen sea, etc. 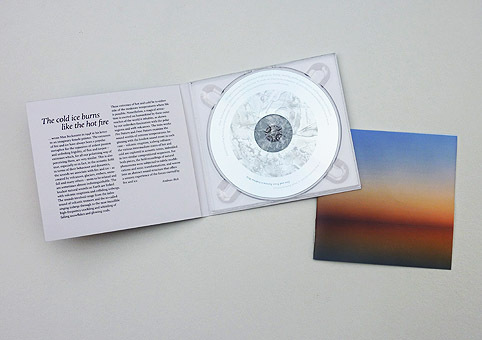 The (glass-mastered) CD is housed in a matt digpak, accompanied by a 12-page booklet – featuring an introduction by Götz Naleppa and background information concerned with the used sounds and how they were recorded. I did the design around two photos of an Australian salt lake by Murray Fredericks, and layouted the text. To my shame a typo resided 1½ years un-spotted on the cover. Typo-bargain applied – (these originally sould for € 15). Back in the days I printed out some quote stickers, with excerpts from the 2 only bad reviews (out of 17) the album once received – if that sounds like fun to you, I could attach one to your copy (on the cellophane wrapping, digipak stays unharmed) – 4 stickers left. Nothing fancy, though. 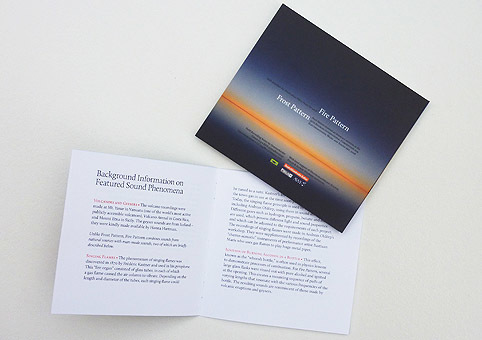 » Learn more at Gruenrekorder’s page.